We Bring the Club to You! LADJ.com provides professional entertainment services for Ventura, Santa Barbara, Los Angeles and Orange Counties, with expertise in a wide range of events, including elegant weddings, corporate events, private parties, college parties, high school dances, anniversaries and birthday parties. 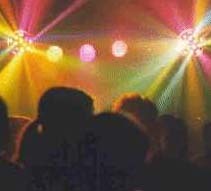 LADJ.com has also providing state-of-the-art sound and lighting support for clubs and local radio deejays. All entertainment, interraction, sound and lighting is crafted around your preference and expectations. LADJ.com takes great pride in providing superior customer service, and delivering what is promised with no surprises. We are proud to say that we have never missed an event, or started late, or switched deejays at the last minute. We guarantee extraordinary professional service, and we deliver peace of mind. LADJ.com has been delighting crowds since 1985 -- seasoned experience to provide great entertainment, with personal deejays, great music, clean sound and excellent dance lighting options. It's going to be fun! LADJ.com is making it easier than ever to schedule your event with our on-line booking form. Have questions? Please contact us for more information by completing our contact form, or calling us by phone. Thanks again for visiting LADJ.com. We look forward to serving you. are all protected trademarks of LADJ.com since 1985. "Absolutely fantastic! Compared to similar services, L.A. Deejay Sound exceeds all expectations. Our employees had a really great time. The DJ was excellent at interacting with the crowd, bringing out fun in everyone! Our company has already booked them for several upcoming events, as well as, this year's holiday party. I would recommend them anytime!" We tailor everything to your event. 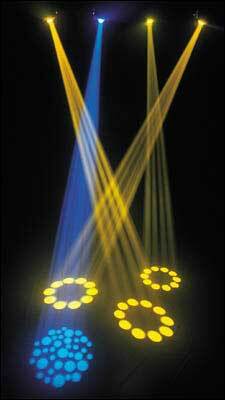 From calm and classy to 10,000 watts of sound and laser-effect lighting.